The kids are back in the kitchen. 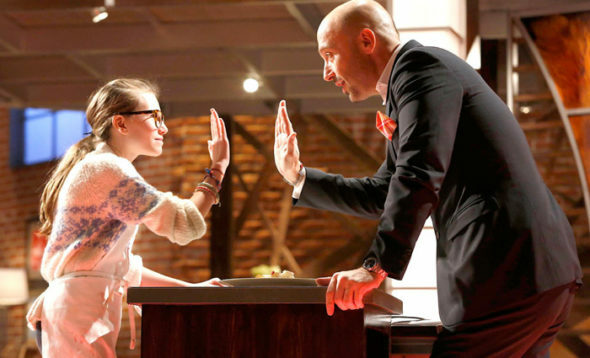 FOX just announced the season seven premiere date for MasterChef Junior. The new season of the competition series will see a group of talented, young chefs “showcase their culinary abilities and passion for food through a series of delicious challenges.” Judges include Gordon Ramsay, Christina Tosi, and Aarón Sánchez. Season seven of MasterChef Junior premieres on FOX on February 26th at 8 p.m. ET/PT. Also, as we reported earlier, it looks like the series will be returning for an eighth season. Entering its seventh season, the series gives talented kids between the ages of 8 and 13 the chance to showcase their culinary abilities and passion for food through a series of delicious challenges. Award-winning chef Gordon Ramsay and renowned pastry chef Christina Tosi will be joined by celebrated chef and restaurateur Aarón Sánchez on the judges’ panel. Season Seven will showcase a mystery box challenge focusing on the most important meal of the day – breakfast. Additionally, the young chef-testants will attend and prepare a meal for 51 circus performers, create a restaurant-quality fish dish, compete to see which team can first roll out a perfect sheet of pasta to 24 feet and power through the fan-favorite restaurant takeover challenge, until one talented kid is named America’s newest MASTERCHEF JUNIOR, taking home the MASTERCHEF JUNIOR trophy and $100,000 grand prize. What do you think? Do you watch MasterChef Junior? Are you excited for the new season? More about: FOX TV shows: canceled or renewed?, MasterChef Junior, MasterChef Junior: canceled or renewed? Yes I watch this every time it’s on, as well as Masterchef. The only thing that I get depressed about is watching kids that cook better than me, and I’m 67.